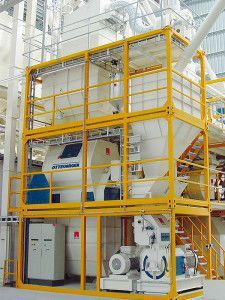 `Modular systems – containerised mills are a unique concept developed by Ottevanger Milling Engineers. 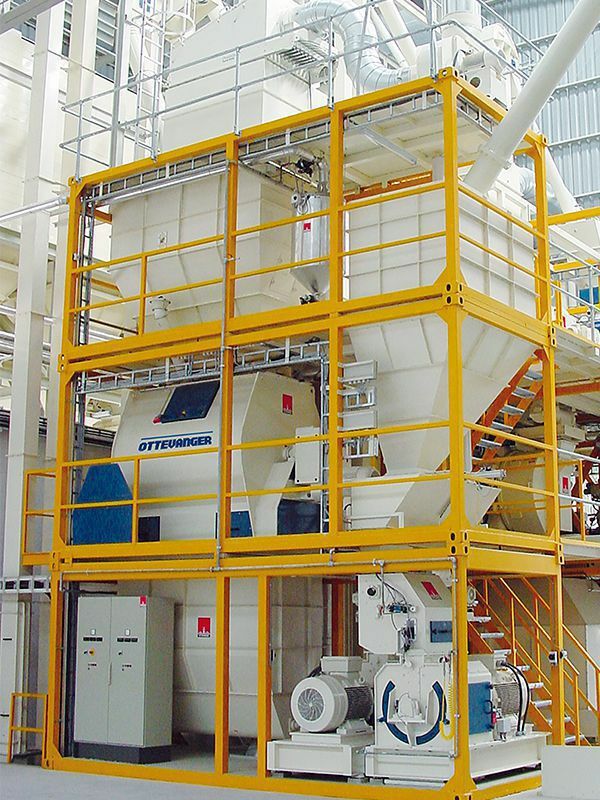 The containerised mills are developed in the early 70’s and since then many references build worldwide. Over 40 years a complete range of highly efficient production units has been developed. Constantly upgraded to meet the latest standards in milling technology. The complete unit is pre-assembled in the factory, thus reducing installation time on site by 80%. The complete electric control is part of the delivery and can be extended to a fully computerised system. The containerised mills can be supplied in the range of 1 to 45 tonnes per hour. The equipment is installed 20-foot container which can be handled as separate modules. The frame of the container has two functions. The frame is not only used for shipment it is also the steel structure of the machine tower. Proved concept with many outstanding references.